The addition of a solar power system to your Boston area home offers multiple benefits — from reduced electrical costs to improved indoor comfort. But homeowners who aren’t familiar with solar may shy away from this renewable option without truly looking into it. Here are six compelling reasons why using solar energy at home makes sense. Why Should You Use Solar Energy at Home? Solar power is becoming more affordable – One of the biggest drawbacks to using solar energy at home used to be the cost of the panels and installation. As technology has advanced, the prices of solar power systems have dropped significantly, making them more accessible to more homeowners. There are numerous cost incentives available – Federal, state and local governments offer several renewable energy incentives that can reduce the cost of a solar power installation. Federal credits can reduce costs by up to 30 percent. The Database of State Initiatives for Renewables & Efficiency has information on state and local incentive programs. Payback times are decreasing – The amount of time it takes to recover the cost of a solar power installation continues to decrease dramatically. 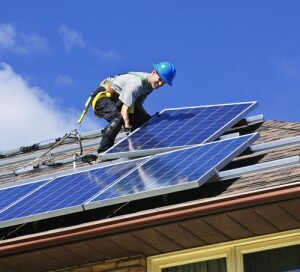 Solar increases home value – The presence of a solar power system will increase a home’s value by a substantial amount. Improved energy efficiency makes a home more valuable and, if you’re selling, more attractive to potential buyers. Solar can pay you – If your solar power system produces more electrical power than your home needs, you can sell the excess power back to your local utility company. Solar power systems have long lives – You can expect a properly installed and maintained solar power system to last for a long time, providing years of financial savings for your home. Sage Builders LLC is a general contractor in Newton, MA, offering professional design/build, renovation and residential consulting services. Contact us today for more information on using solar energy at home.